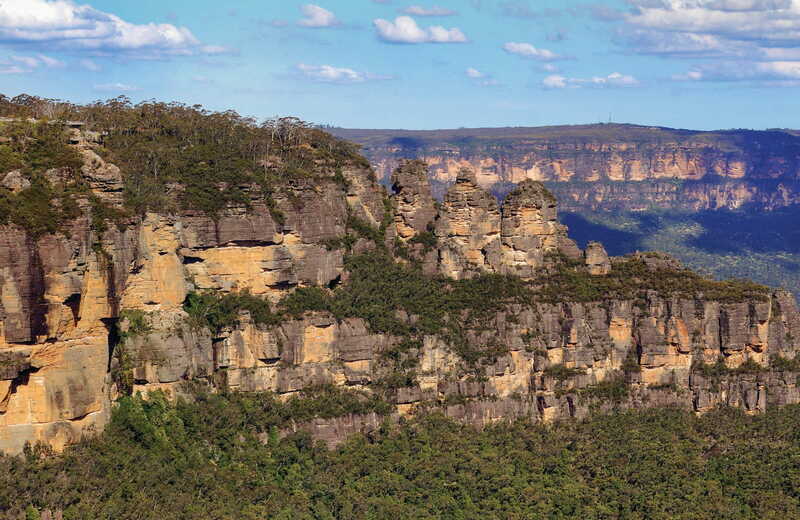 The easy Three Sisters walk, in Katoomba, offers some of the most iconic views in Blue Mountains National Park, and takes you up close to the famous Three Sisters. Weather in the Blue Mountains can be very different to Sydney. Be prepared for colder temperatures as conditions can change quickly. 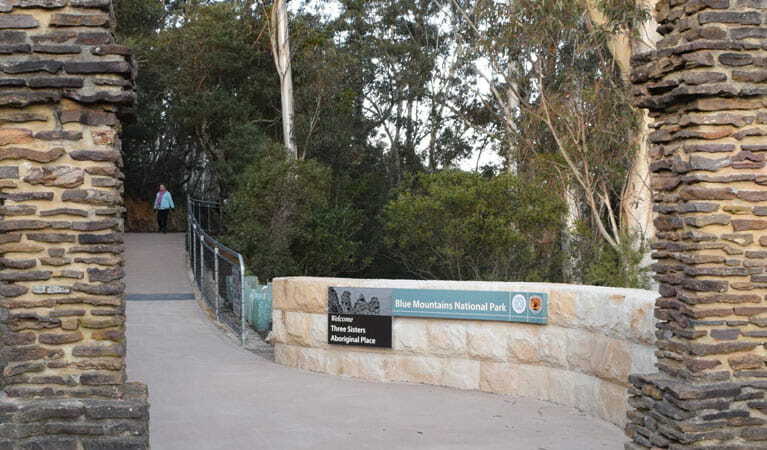 Commercial tour groups need a licence to operate in the national park. 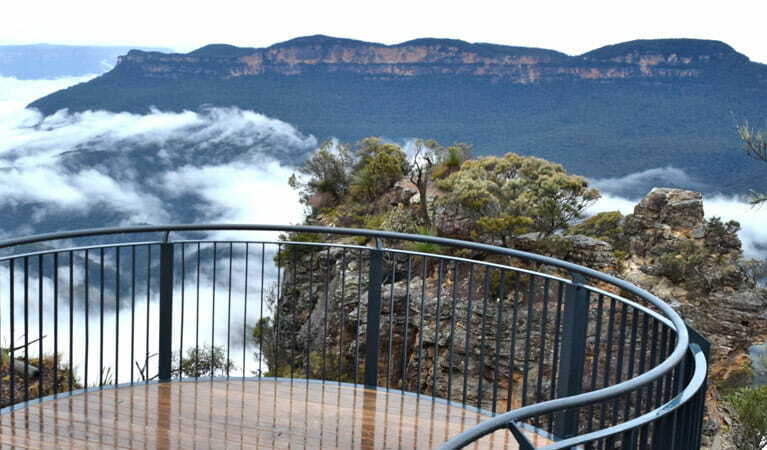 This walk is accessible, with assistance, from Echo Point to Oreades lookout. Access to Honeymoon Bridge involves sections of steep stairs. Please take care. During busy summer, weekend, and holiday periods, there may be a waiting line to descend the Giant Stairway to Honeymoon Bridge. 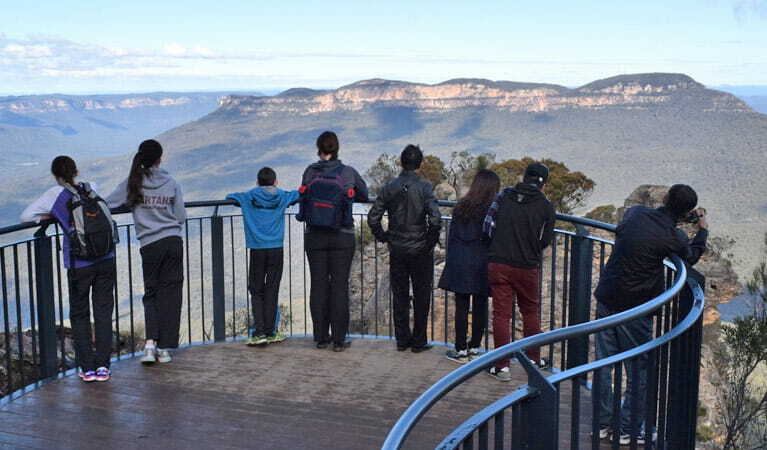 This family-friendly walk treats you to ever-changing views of the grand Three Sisters, rising nearly a kilometre above sea level. 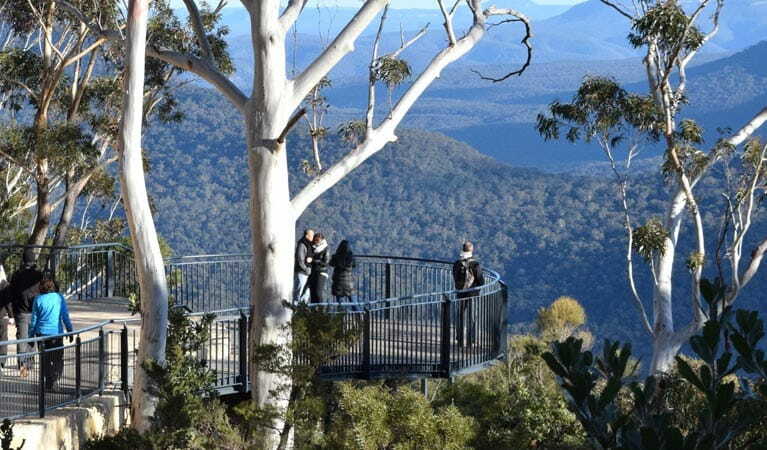 Pass through the archway, next to the Echo Point Visitor Centre, and you'll soon be surrounded by soaring eucalypt forest, bird calls and fresh mountain air. Keep an eye out for the superb lyrebird and crimson rosellas as you walk the gently sloping path for 400m to Oreades lookout. 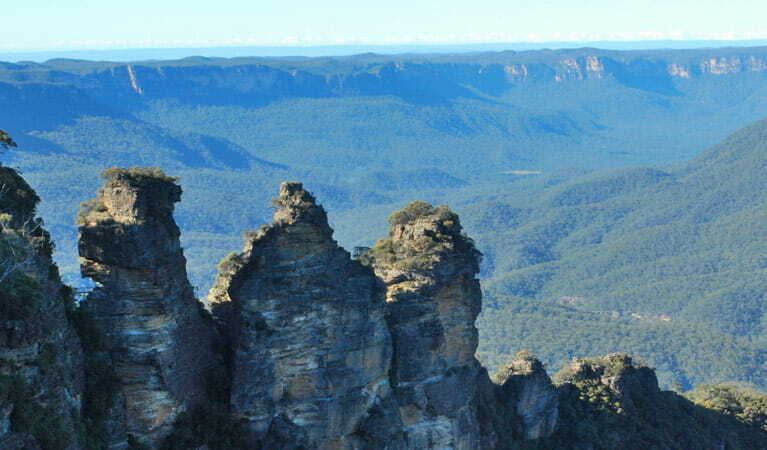 Marvel at the incredible views of the Three Sisters' weather-eroded sandstone turrets, and the hazy 'blue' Jamison Valley stretching to Mount Solitary. 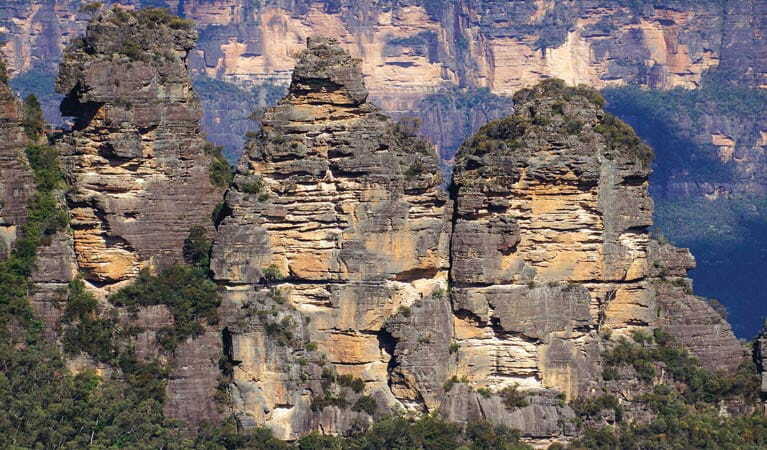 From here, steps lead a further 50m to Lady Game lookout, for a closer view of this remarkable rock formation. A short but very steep set of stairs at the top of the Giant Stairway leads to Honeymoon Bridge, which connects to the first sister. 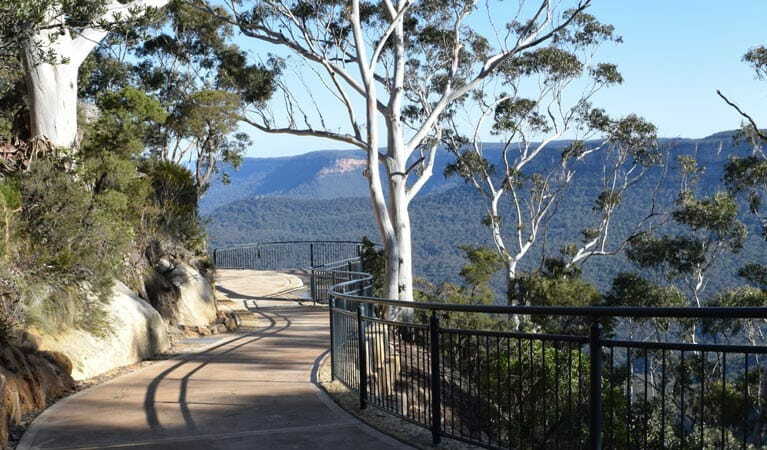 On the way back, enjoy the short signposted detour to Spooners lookout. If you’re feeling energetic, there are plenty of longer walks nearby, including Prince Henry Cliff walk, Dardanelles Pass loop walking track, and the Three Sisters Walk to Scenic World via Giant Stairway. 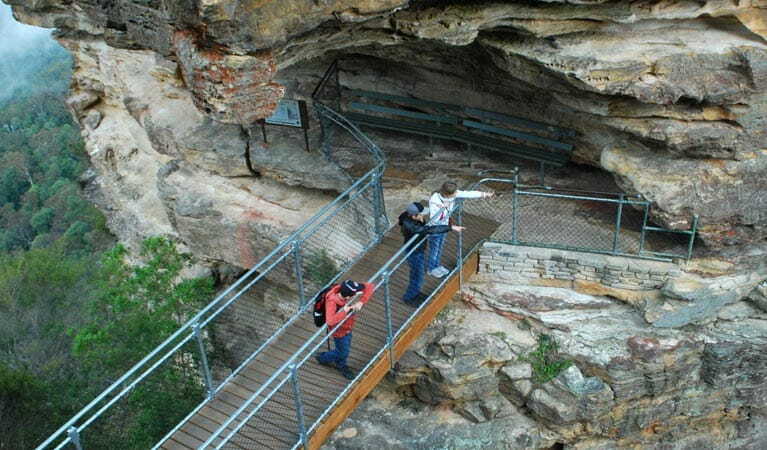 NSW national parks offers some amazing access-friendly walking tracks suitable for people with disability. Escape the city and explore some of the picturesque wheelchair-accessible tracks on offer.